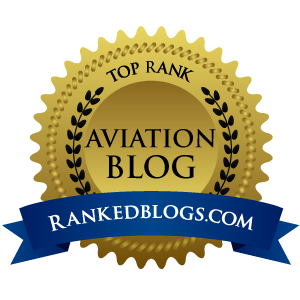 As a first-time airplane owner, I am having daily revelations that excite my aviator's soul. I am still in the giddy phase of ownership, when a trip out to the hangar just to gawk at 8527W is time well spent. 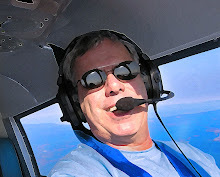 This is not the first time I have "owned" a plane...I was one half of a two-pilot partnership in a Cessna 172 Skyhawk for a while right before moving to Oregon. But in that deal, the owner did all of the maintenance and coordinated repairs...I simply paid half the bills, opened the hangar and flew "Peggy" every other week. But as sole owner (with my wife of course) of our yet-unnamed Cherokee 235, the responsibility for keeping her flying is mine and mine alone. In the majority of the time I have logged, it was in rental aircraft, and about the only thing I cared about with the engine was that there was sufficient oil in the crankcase. Now, the airworthiness of everything from the spinner to the stabilator is my domain, and facing that is a daunting chore. So far in my ownership of 27W, I have solved a few quick riddles easily. I didn't know that my mish-mash of three different types of mono headsets wouldn't work with the SoftComm stereo intercom. A quick trip to Radio Shack for some adapters fixed that one cheap and easy. And the damned little air vent knobs seem to all wanted to come loose at the same time, so a second trip to Radio Shack allowed me to acquire four perfect replicas of the worn knobs that were in the plane. I didn't know that Radio Shack sells aviation supplies...and from the befuddled look on the clerk's face when I asked about knobs and intercom adapters for an AIRPLANE, I guess they didn't know either. (17) Replace bulbs, reflectors, and lenses of position and landing lights. (31) Remove and replace self-contained, front instrument panel-mounted navigation and communication devices that employ tray-mounted connectors that connect the unit when the unit is installed into the instrument panel. So with both feet, I hereby jump in, ready to learn everything I need to learn about keeping a vintage Cherokee flying. One thing that is on my side is the fact that this particular 235 has been a reliable performer for 43 years, so odds are in my favor that this yet unnamed bird will continue to achieve flight when power is added and gobs of air are sent plundering across those gargantuan Hershey Bars hanging off both sides of the fuselage. 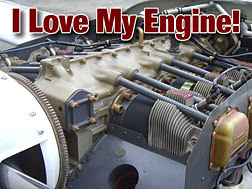 Yes, I love my engine...the guys at Corona Cylinder made it so clean, I plan to eat a meal off of it soon. But sometimes, when you love something, you must set it free. That is why I will never EVER do anything mechanical to that purdy Lycoming under the cowl...it will always go across the patch to the A & P.
And they had better know what they are doing...I don't want anything happening to my mistress. I hear her name might be Katy...I'm O.K. with that.